We at Deccan Dynamics work to achieve a global leading position in the field of engineering supplies by catering to various requirements of our industrial clients. 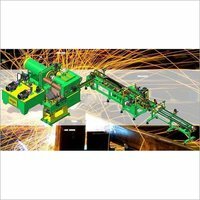 Looking for Welding Electrode Plant & Machinery ? Ink Box Colation Constant Temperature Welding Machine ...We are a very famous name of the market for exporting and supplying a high quality range of Ink Box Colation Constant Temperature Welding Machine to our most valued shoppers. These are broadly used in various sectors. Our machines are easily procurable at leading market prices.